Best Execution speaks to Doug Cifu, CEO of Virtu. Last year Virtu bought KCG. What were the drivers behind it, how have you restructured the business and how does it fit into your overall strategy? Yes, we acquired KCG, the old Knight Capital business last year. Our theory was that, if we could apply Virtu’s operating rigour and discipline, and our technology, to what KCG did – it could be a powerful combination… and that’s what we’ve done. The acquisition provided us an opportunity to further scale our technology across complimentary businesses, specifically, to leverage Virtu’s order routing technology and risk controls to improve KCG’s wholesale market-making and agency client franchises, and to deploy KCG’s quantitative style strategies and research and simulation environments to legacy Virtu’s bid-ask market-making business. As most folks know, we started integrating the firms immediately and within just months we saw early benefits from combining operations. More recently, we began rolling out enhancements to our agency clients and early feedback is overwhelmingly positive. Will there be any further mergers or acquisitions and if so what areas? We will always consider strategic opportunities, and of course, one of the reasons we went public was to have a currency that would empower us to pursue the right deals, if they come along. There are certainly other businesses out there that could become attractive to us. Perhaps there will be an opportunity in a particular business line or product or asset class where we’re underrepresented; where we think we can learn something. Ultimately, we want to be excited about it and see some clear ‘one plus one equals three’ logic. I think there will be opportunities in the next five years; although we don’t know who it will be, it should be strategic and accretive to shareholders. What differences do you see between institutional agency clients in the US and Europe? The US and European capital markets are more alike than many people appreciate. The biggest topic today is transparency – the buyside in the US and Europe want more transparency into order routing, venue selection, and now more investors are asking to know ‘why’ something happened with their order. Virtu has the technology and expertise to help investors understand the conditions that drive every trade – other brokers tell investors where their orders were routed and traded, but Virtu can show investors ‘why’ and give them the tools and algos to optimise their experience. What requests are you getting from institutional agency clients and how is Virtu responding? I know there is the impression that clients are very demanding, but I have to tell you what I’ve found, over the past few years, is that our clients’ demands are quite reasonable. All they want is really good technology, differentiated liquidity, and a ton of transparency around trading decisions. Basically, they want good information, so they can make good decisions. And we really got lucky in the agency space because our market-making technology, which is really deterministic, was exactly what clients were looking for. They didn’t want to hear that some 10 factor model, created a “fair value” at which to trade – without an explanation as to why that decision was reasonable. With us, we can tell clients exactly what we did and why. Period. No long drawn out conversations, just simple answers. What many people don’t know, is that we’re the only firm with a central risk book of retail order flow, a principal market-maker, and institutional agency clients. This gives us a unique opportunity to allow institutional clients to expose their orders to natural retail investors in tens of thousands of shares of large, medium and small cap companies and ETPs. 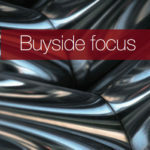 We can be a true internaliser between the buyside and retail. More generally, what impact do you think MiFID II is having on trading and the industry? 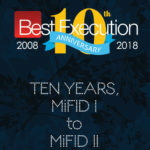 While MiFID II really underscores the industry’s heightened focus on transparency on everything from order routing to costs of research, the buyside can be more effective than any regulator could ever be – by voting with their wallet and moving business when a broker provides insufficient transparency or execution quality. And we are increasingly seeing this phenomenon spread globally – where clients are simply applying their MiFID approach to global operations. Unbundling is a popular topic, and to me it’s a great opportunity for Virtu. 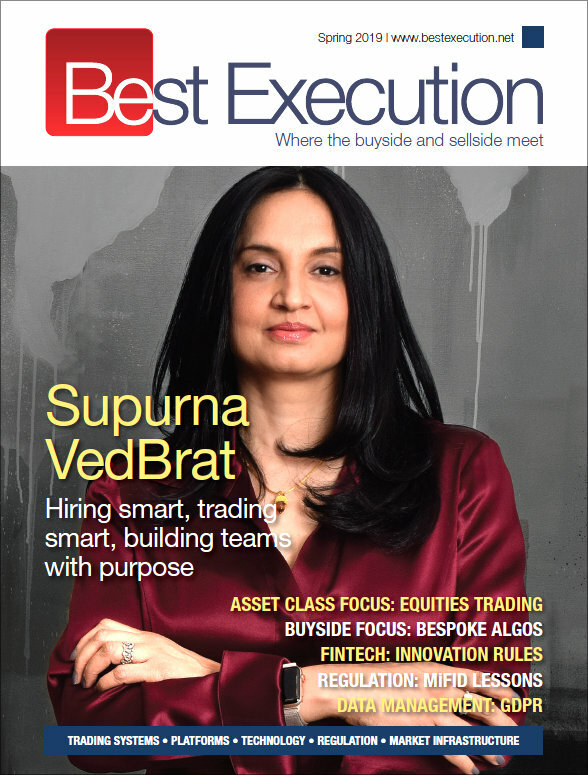 We already see buyside folks prioritising the brokers that provide best execution and the transparency they expect. Our tools let us show buysides, here, this is why your order got routed where it got routed, in real time. What were the reasons behind the decision to become a systematic internaliser? Under MiFID II, a systemic internaliser, or a Single Dealer Platform (“SDP”) as we call them in the US, allows us to stream customisable market-making prices directly, on a transparent and disclosed basis, to known counterparties. Virtu operates one of the largest SDPs in the US; effectively, Virtu and KCG have been operating an SI for the last 5-10 years. Often the liquidity we provide over our SDP – we call it “VEQ” and “VEQ-Link”, short for Virtu Equities and a rebrand of the old Knight Link SDP – is for significantly more size and better prices than liquidity displayed on lit exchanges. Last year, Virtu’s wholesale market-maker provided over $1.2m per day in price improvement to end investors. 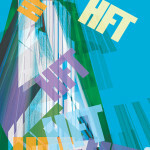 How has high frequency trading changed? Over the last couple years, it’s become clear that speed is not a viable differentiator; that lasting businesses in this space are going to be the ones that have scale, provide a meaningful service, and operate with expense and capital discipline. We’ve seen that technology has enabled competition and the number of platforms where market participants can transact has grown significantly. All of this has forced out less efficient players and created sustainable opportunities for electronic market-making firms like ours. Doors continue to open to Virtu as more investors adopt a data-driven approach to routing and counterparty decisions. I think our ‘open-door, ask us any question’ policy has helped us earn investors’ trust, and the change we’ve seen in the Street’s attitude toward Virtu is a great example of how transparency and data can be used to alleviate doubts about the benefits that technology brings to investors in today’s markets. Virtu’s goal remains to be the best bid and best offer in the 25,000 instruments we trade for as long as possible on the over 235 venues and markets across the 36 countries where we trade. This has been our mission since the day Vinnie (co-founder Vincent Viola) and I started Virtu. While the US equity market is arguably the most liquid and transparent market in the world, we are all aware of other markets in need of improved transparency and efficiency. Until recently, these less transparent markets and asset classes had been slow to evolve, but we are seeing this evolution accelerated by technology and regulation, such as MiFID II requiring reporting of ETP trading in Europe and FINRA requiring real-time TRACE reporting of trades in the US Treasury market. Because understanding market microstructure and driving efficiency is in our DNA, the opportunities for Virtu, to provide risk transfer and routing services, are aligned with investors’ growing demands for transparency, efficiency and competition across the products and markets where we trade. 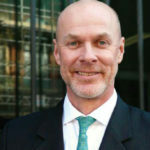 Douglas A. Cifu has been CEO and a member of the board of directors of Virtu Financial, Inc since November 2013 having previously co-founded the firm in 2008. At Virtu, he has led and managed all key strategic and operational decisions, including its initial public offering that closed in April 2015, the acquisition of KCG Holdings in 2017 and various public and private financings. Cifu frequently speaks on global market structure issues and concerns at industry conferences and in private settings. Prior to co-founding Virtu, Cifu was a partner at the international law firm of Paul, Weiss, Rifkind, Wharton & Garrison LLP.